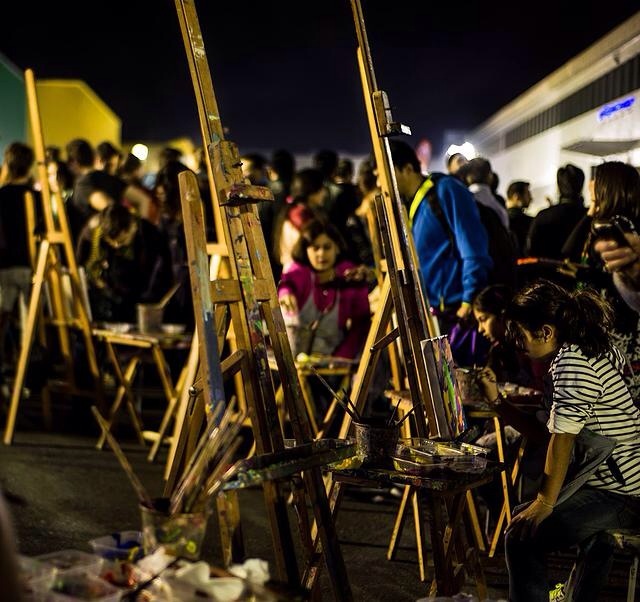 On February 20th & 21st, Street 4B in Al Qouz will be transformed into a hub showcasing unprecedented Street Food, Art, & Musical Performances. 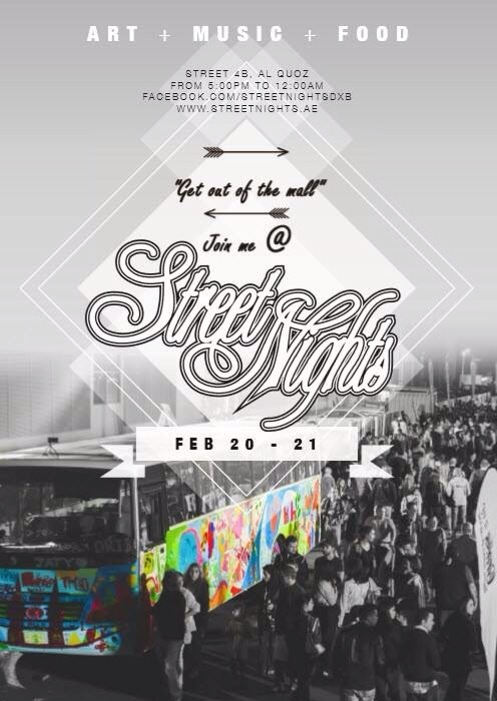 Street Nights is an official event of the Dubai Food Festival 2015, and is a must-visit event for street culture enthusiasts. 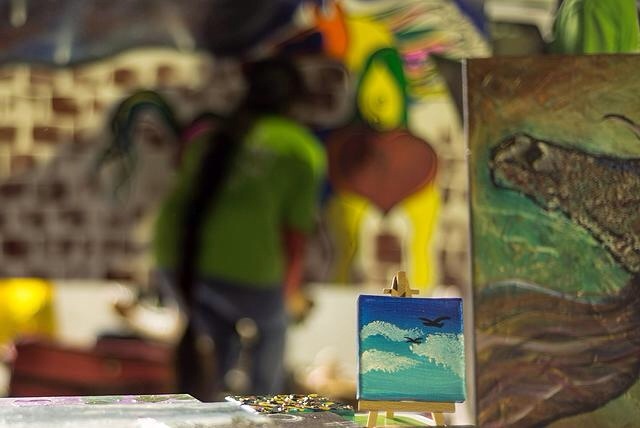 Artists, Musicians, Dancers, and Street Performers will be showcasing their work, creating unique art installations, and performing live on the streets! Make sure to also come with an appetite as the best street food cafes / restaurants in the city will be serving some of their most delicious feasts! Get out of the Mall and Take to the Streets! 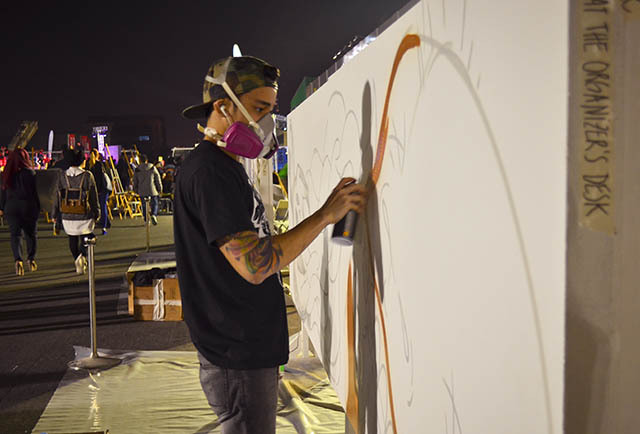 Posted in Foodies, Word Around Town and tagged dubai food festivall 2015, street nights, street nights all quoz, The Scoop DXB. Bookmark the permalink.